Best known for her hit single Put Your Records On, British singer-songwriter Corinne Bailey Rae is no stranger to performing on stage. The 38-year-old broke into the scene with her debut album Corinne Bailey Rae in 2006, and since then, has played major music festivals the likes of Glastonbury and Austin City Limits, and bagged two Grammy awards. She also trotted out two other albums along the way, the most recent being The Heart Speaks in Whispers (2016). We recently caught up with the songstress ahead of her performance at the upcoming Singapore International Jazz Festival 2017, and heard all about her writing process for her latest album, her track in the 50 Shades Darker soundtrack, and her favourite Kanye West record. Lifestyle Asia (LSA): What do you think of the line-up at Singapore International Jazz Festival this year, and who are you most looking forward to watching? 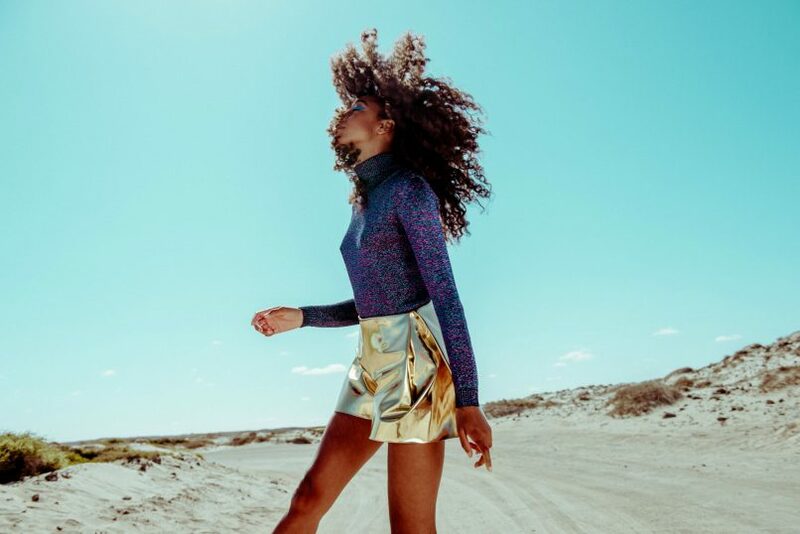 Corinne Bailey Rae (CBR): I love jazz festivals these days because the music is really diverse, from soul to traditional brass jazz, straight through to dance music and hip-hop. Basement Jaxx, for example, is a really good and progressive choice. I also like Gilles Peterson as a DJ. To me, jazz means unconventional music — or what doesn’t fit into a standard sort of pop music. So I am really honoured to be part of the line-up. LSA: How do you feel about your music travelling across the globe? CBR: It’s amazing to know that people across the globe listen to, and enjoy my music. I came from an indie background, writing my own music and playing very intimate shows in the UK. When I first started, I’d get to know the audience and see the same faces during my shows. The first time I recorded my music in a studio, I realised that music could travel to places you had never even been to. That was the one thing that blew my mind. LSA: What was the writing process like for your latest album, The Heart Speaks in Whispers? CBR: When I started writing The Heart Speaks in Whispers, I didn’t know what I was doing or what I wanted to say. I was just playing the guitar or the piano, and seeing what flowed. Sometimes I’d be riding in the car, or tapping out a rhythm on my knees, and I’d get an idea. It happened in a natural, organic way. I didn’t sit in studios with people and try to write songs, I really just let the songs come to me. LSA: Tell us about your musical influences for the album. CBR: I was listening to a mix of old and new music. I has just really gotten into King, an R&B band from the US, and I wanted to work with them. I got to know them through my friend, Esperanza Spalding. Working at Capital Records, especially the studio which was the same room the Beach Boys, Nat King Cole, and Frank Sinatra recorded in, was unreal. Being in a physical place designed by Les Paul really inspired my sound. LSA: What was your favourite song to write for the last album? CBR: Green Aphrodisiac. I love how the melody came. I improvised the melody, and Amber (from King) and I sculpted the harmonies together. It was a particular time in my life where I felt like all this beauty was returning, and I appreciated the nice things around me. I think that just became important to me, so I really liked writing the song as it was a reflection of all the newness happening in my life. LSA: Who are your biggest musical influences? CBR: The two people that really got me into music and believing in my own voice are Billie Holiday and Kurt Cobain. When I was 13, Nirvana was at the height of their fame. I remember seeing them on MTV. 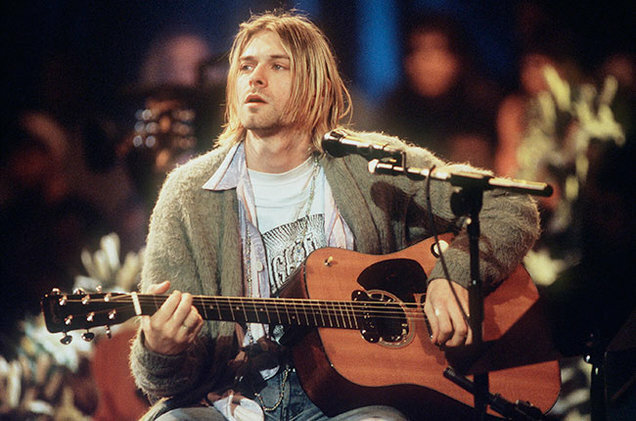 Kurt was just sitting there in his cardigan, playing his acoustic guitar. This was way before Youtube, so if you wanted to see a performance, you had to watch it at home — or hope someone taped it. Corinne is highly influenced by Kurt Cobain. I was really blown away by the sparseness of the songs and how troubled, sensitive and beautiful Cobain seemed. The ease in which he communicated the messages of his songs really inspired me. Cobain had a really unconventional voice, which I could relate to — as I felt that I had an unconventional voice as well. I loved singing as a child, but I didn’t have a voice like Whitney Houston or Mariah Carey, or a shiny pop voice like Madonna. I felt like my voice was unusual with a lot of texture, and I liked bending my notes when I sang. It was very rare to see anyone doing that, so hearing Kurt Cobain just opened up my mind to different types of voices. It was the same with Billie Holiday and her almost conversationalist style. Listening to these two musicians made me believe that I could actually sing the songs that I was writing — and that it was acceptable. LSA: What are you currently listening to? CBR: A record that I’ve been listening to a lot recently is Childish Gambino’s Awaken, My Love! It’s so influenced by funk. That’s my jam when I’m in the car at 2 am. My favourite record of 2016 was Kanye’s The Life of Pablo. I liked how it was really open, sort of cut-and-paste, in a hectic way. My favourite song from that album is Ultralight Beam. I found it interesting how he weaved gospel into hip-hop. I think hip-hop is the most progressive music around at the moment. LSA: Your cover of Coldplay’s The Scientist for 50 Shades Darker was hauntingly beautiful. How did you reimagine it to fit into the movie? CBR: The team at Universal showed me the opening scene of the film and at that point, I haven’t seen the first movie or read any of the books. They said they wanted really poignant music for that particular scene, and that E.L James was a big fan of Coldplay. She even mentioned The Scientist in her books. I loved the song, so I was really happy to do it. It was something quite melancholic, and I felt that I brought out the emotional depth of the character at the moment. LSA: Lastly, what can we expect from your performance at Sing Jazz 2017? CBR: We’re doing a combination of old and new — from the songs most fans would know, like Put Your Records on, to more underrated songs from The Sea (2010). I think these songs work well together and I’m excited to perform them. Catch Corinne Bailey Rae live at Sing Jazz 2017, taking place from 31 March to 2 April. Click here for more information.